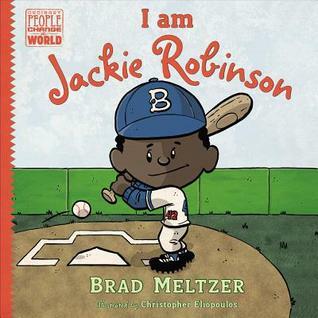 Goodreads Summary: This New York Times Bestselling picture book biography series by Brad Meltzer has an inspiring message: We can all be heroes. Jackie Robinson always loved sports, especially baseball. But he lived at a time before the Civil Rights Movement, when the rules weren’t fair to African Americans. Even though Jackie was a great athlete, he wasn’t allowed on the best teams just because of the color of his skin. Jackie knew that sports were best when everyone, of every color, played together. He became the first black player in Major League Baseball, and his bravery changed African-American history and led the way to equality in all sports in America. This engaging series is the perfect way to bring American history to life for young children, providing them with the right role models, and best of all, inspiring them to strive and dream. Kellee’s Review: Since Brad Meltzer published his first “Ordinary People Change The World” book, I have been intrigued by them. I am a huge fan of how he and Chris Eliopoulos format the books, and how they truly help engage their reader throughout. Their newest book in the series focuses on Jackie Robinson and how he went from a young kid loving and excelling at sports to changing the world by becoming the first black MLB player. It deals with acceptance and bravery and overcoming obstacles. What makes this story of Jackie so unique though is how it is executed. First, I love how it is told in first person. Second, they included humor throughout. For example, there are two kids that keep guessing what the “B” on Jackie’s hat stands for, and they are such comic relief. 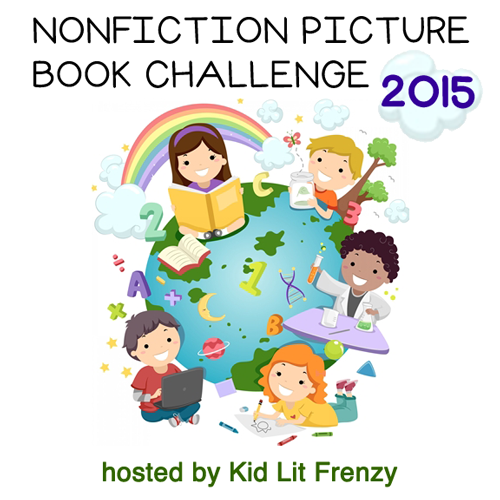 Finally, the book is a picture book/graphic novel mix which I think really adds to the engagement of the book. And on top of all of this, the book is inspirational! Jackie’s story is always an awe-inspiring one, but this book specifically focuses on how you can truly change your own life if you put your mind to it even if there are truly tough obstacles. Ricki’s Review: This book! From time to time, a book really impacts me, and I absolutely fell in love with this one. 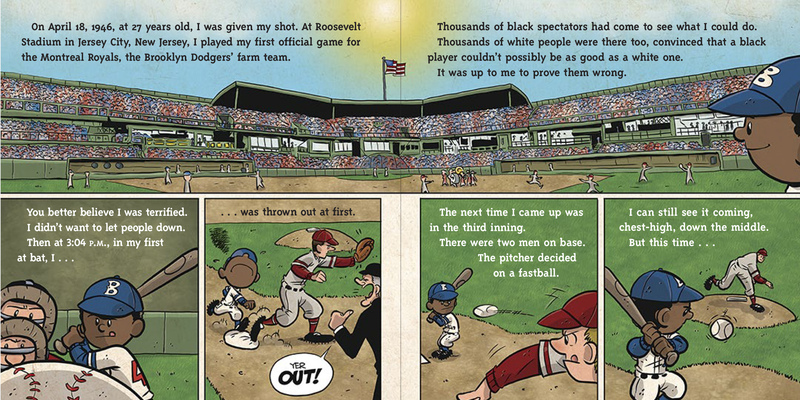 I have always found Jackie Robinson to be inspirational, but the way this story is crafted is uplifting. I am thrilled that kids will be exposed to this story–it teaches resilience and strength, and above all, it shows an extraordinary human being who made a difference in the world. Like Kellee, I love the way this book is formatted. It will be great for all types of readers, and teachers will love how accessible it is for reluctant readers. The graphic novel style (with one panel per page) is intriguing and engaging. The last page provides a visually appealing fact-page to learn more about Robinson. I will absolutely be getting more books in this series. Teachers’ Tools For Navigation: Meltzer’s series is a wonderful introduction to some phenomenal people in history that all children should learn about and aspire to be. “Ordinary People Change The World” would actually be a fantastic unit. You could read all of Meltzer’s titles (whole group or in lit circles) then research Lincoln, Parks, Einstein, Earhart, and Robinson to learn more about them. The students could then look into other ordinary people who have changed the world. Discussion Questions: What do you think the hardest thing about being the first black MLB player would be? ; Why do you think Jackie was chosen as the first black player? ; What did the B on his hat stand for? Looks like a cute series. It really was a great book! I can’t wait to read the rest of the series. As I say so often, I’ll share this with our librarians. I know they will love finding biographies that are so accessible to younger readers. I was so happy to share it with you all because it is rare to find biographies for younger kids. I haven’t checked any of these titles out yet. I need to find them! OH! You and your kids are going to love these! I’ve seen this series shared quite a few times, and I’m glad to read your highly enthused responses to them – will definitely check them out. They really do look lovely. I can see why people were always hyping them–very well done! I just picked this one up from the library! My favorite in the series so far is the Rosa Parks one.